Good Monday to everyone, and welcome back to the Daily Noontime! Here are some headlines to kick-start and jumpstart your day! * The Boston Celtics couldn’t hang onto a three-point advantage late in the fourth quarter, as the Los Angles Lakers rallied to defeat the Green and White, 97-94. 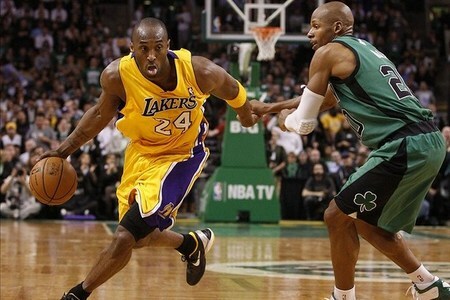 Kobe Bryant led all scorers with 26 points, while Rajon Rondo paced the Celtics with 10 assists. Boston will return to the Staple Center on Monday when they tip-off against the Los Angles Clippers. * On Sunday, the NCAA announced that Harvard University’s men’s basketball team earned the No. 12 seed in the eastern bracket of the upcoming March Madness tournament, which is scheduled to begin on Thursday, Mar. 15. The Crimson will begin their journey toward a NCAA crown against Vanderbilt University. * Sources confirmed late Sunday evening that University of Massachusetts’ (Amherst) men’s basketball team earned a spot in the upcoming NIT tournament. The Minutemen will tip-off against Mississippi State on Tuesday, Mar. 13. * The Boston Bruins earned their second consecutive loss on Sunday, as the Pittsburgh Penguins defeated the Black and Gold, 5-2. Pittsburgh netted three goals in the first frame, while adding one strike in the second and third period, while Tim Thomas and Marty Turco combined for 27 saves. The Bruins will look to snap their two-game skid on Tuesday when they travel to Tampa Bay. It’s Friday, and before we break out into song and dance, let’s jumpstart the day with some headlines and news! * The Los Angles Lakers snapped the Boston Celtics five-game winning streak on Thursday, as they defeated the Green and White, 88-87 in overtime. Kobe Bryant led all scorers with 27 points, while Andrew Bynum added 17 rebounds. As for the Celtics, Paul Pierce led the team with seven assists, and Ray Allen finished the game with 22 points. Boston will return to the hardwood on Friday when they travel to Toronto for a 7:00pm tip-off. * Tim Thomas created a few headlines on Thursday afternoon, as the Boston Bruins goaltender once again utilized his freedom of speech through social media to announce a few political thoughts for his fans. Yet, this isn’t the first time that the goaltender has used Facebook to state his beliefs on politics, especially since he announced a few weeks ago why he decided to forgo a visit to the White House. Thomas told reporters that he’s allowed to have his own beliefs and everyone should respect his personal thoughts going forward. * The Boston Bruins will return to the ice on Saturday afternoon when they host the Nashville Predators for a 1:00pm face-off, and according to sources, the team hasn’t announced who’ll be starting in net, but it’s possible Thomas could be the backstop for the Black and Gold. * According to the Boston Herald and WEEI.com, Red Sox first basemen Kevin Youkilis recently got engaged to Tom Brady‘s sister Julie, who is a California schoolteacher with a 5-year-old daughter. Happy Friday to everyone, and of course, Happy Holidays too! Here’s some headlines, news and other things! * The Indianapolis Colts earned their second consecutive victory, as they rallied to defeat the Houston Texans, 19-16. * According to the Colts owner Jim Isray, he believes and expects quarterback Peyton Manning to remain with Indianapolis for the upcoming season. * Sports Illustrated confirmed that Kobe Bryant is expected to play in the team’s season opener on Sunday against Chicago Bulls. * According to MLB.com — the St. Louis Cardinals have reached a two-year deal with Carlos Beltran. * The New York Rangers picked up an important win on Thursday, as they defeated the New York Islanders, 4-2. With 2011 slowly coming to a close, here’s a video that recaps the past year of YouTube videos, enjoy!